"Web Accessibility is not only for people with disabilities but for all of us who are thankful that there are no barriers in using our abilities. " mccidonline.net is the first paid domain name address used by Manila Christian Computer Institute for the Deaf Foundation, Inc. (MCCID) which was bought in 2001. It was been the official website address of the foundation for four years until February 2006 when it changed to www.mccid.edu.ph indicating an established educational institution in the Philippines. The web address has been continued and is used to promote web accessibility in the Philippines. The logo of two hands with middle fingers aligning each other is the Filipino Sign Language for Internet or contact using the Internet. Southeast Asian Institute for the Deaf - This is the website of the first private school for the deaf which uses total communication as their mode of teaching. They teach from Preparatory to High School. The site was designed by the group led by Dianne Barcelona. Abilympics Philippines - This non-government organization is tasked to train, prepare, fund and send participants with disability to national skills competition as well as the International Abilympics Skills Competition. The site was designed by the group led by Enrique Relucio. Deaf Evangelistic Alliance Foundation - This is the website of the first established college for the deaf in the Philippines based in Cavinti, Laguna. The site was designed by the group led by Nonito Visagar Jr.
Stimulation and Therapeutic Activity Center - This private foundation caters to the physical and rehabilitational needs of persons with disabilities in the Philippines. The site was designed by the group led by Daryl Pineda. Capitol City Baptist Church Deaf Ministry - This is the official ministry website of Capitol City Baptist Church and designed by the deaf group led by Edmond Guzman Jr.
Pinoy Smile Deaf Products - This is a mirror site of the Deaf Community Development of Paete, Inc. This site was designed by Ma. Ivy Ranola. 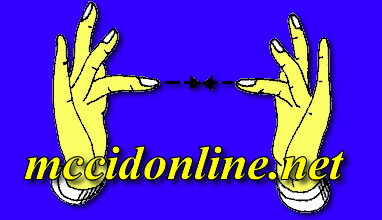 Rolando Landicho Deaf Handicrafts - This is the e-commerce website of Rolando Landicho, deaf entrepreneur. This is still under construction. Accessibility is about making your website available and understandable for everyone, including users with disabilities. W3 explains it in a great way at the Web Accessibility Initiative. Visit the Wikipedia article on Web Accessibility Initiatives in the Philippines for a complete detail on the history and events undertaken by the Philippine government. You may also visit the excerpt of the article submitted by the webmaster in the Webstandards Organization website or go directly to this link at the MCCID Website. What is Web Accessibility Designs Philippines? This website helps in the promotion of web accessibility by designing websites for government and private institutions. As mandated by the Philippine government through a resolution approved by the board of National Council for the Welfare of Disabled Persons (NCWDP), an adhoc group of web designers led by the webmaster of this site is tasked to help in the training, designing, monitoring and evaluation of websites in the Philippine government. Latest initiatives and events made by the group as well as other activities of MCCID will appear here. We will also feature here a list the websites from the Philippines that complied with the Web Accessibility standards and/or awarded "Disabled Friendly Website" by the NCWDP and the National Computer Center (NCC). We will make some comments and analysis on the websites that we will feature. What is Philippine Web Accessibility Group? After accepting the mandate of establishing the web accessibility adhoc group, a team of web designers formed a group and held its first initial and informal meeting at the NCWDP Office last August 11, 2006. The group agreed to adopt the name Philippine Web Accessibility Group or simply PWAG. Mr. Lemuel L. Cabia - He is one of the web designers of De La Salle University Website and will be responsible for Cascading Style Sheets (CSS) and Table Less Layouts. He volunteered to design the PWAG logo. Mr. Rey Mendoza Jr. - He is previously one of the web designers of Dela Salle University and will deal with designing and lay-outing accessible websites. He also hosts Design Talk, a web blog that focus on web accessibility. Mr. Jojo I. Esposa Jr. - He is the web designer of MCCID and will focus on introduction to Web Accessibility. Ms. Lourdes R. Borgonia - He is the blind webmaster of ATRIEV and will explain about Accessibility benefits for persons with disability. Mr. Carlo Josef M. Costales - He is one of the web designers of the government's House of Representatives explains about government's best practices. Mr. Ervin R. Reyes - He is the deaf webmaster of MCCID and will focus on introduction to Web Accessibility. He is also the one who supervised the designing of the free websites. All the websites mentioned are recent winners of "Disabled Friendly Award" given by the Philippine government. Main Website:Visit the Manila Christian Computer Institute for the Deaf (MCCID) Website for additional information! This website conforms to Manila Accessible ICT Design Recommendations. Copyright © 2006 - 2008 MCCID Online. Jojo I. Esposa Jr., Webmaster. All rights reserved. To CHRIST be the glory!